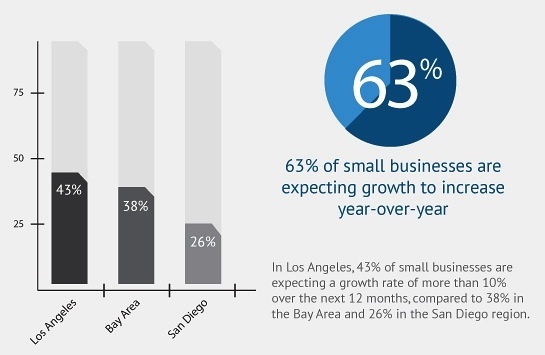 Despite all the talk about businesses being affected by the policies from the current administration, California small businesses are poised for growth this 2014. In the following infographic from the California Bank and Trust provides the results from the California Small Business Survey. The main takeaway from all these statistics that California small businesses will need financing in the next 12 months to support their expected growth. About 35% of them need financing, with close to half of them needing a bank loan. The question is whether financial institutions are ready to meet their demands, because over half of those businesses are willing to pursue alternatives forms of financing. Are you a California small business owner? Please share your reactions to these stats on the comments section.